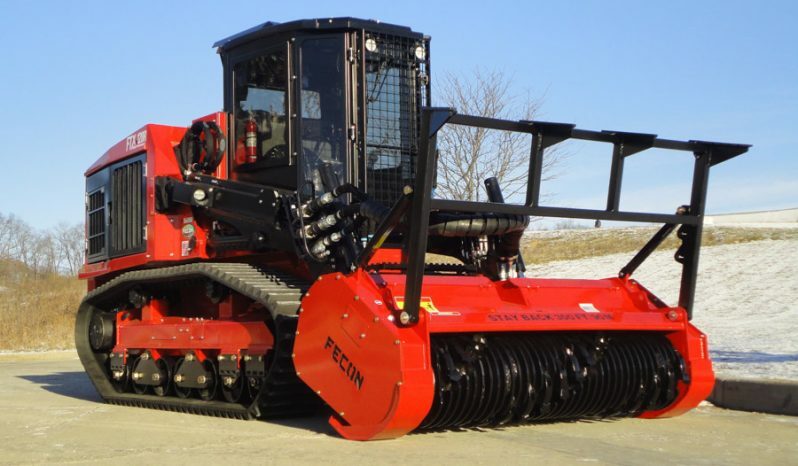 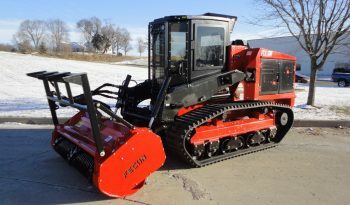 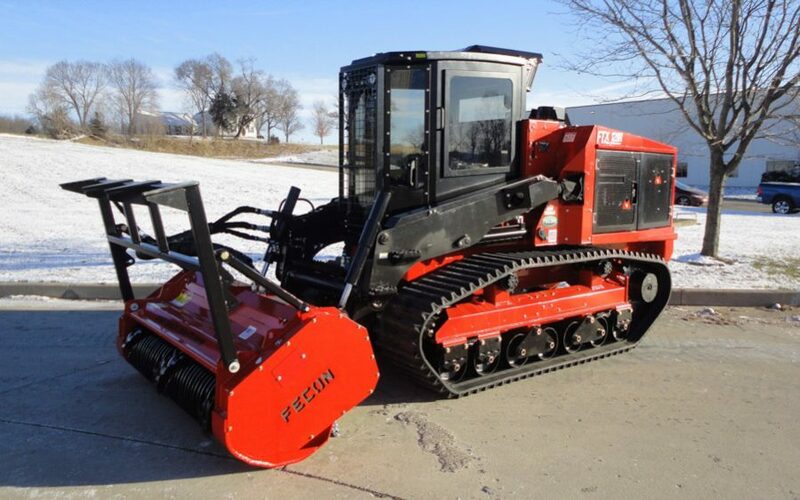 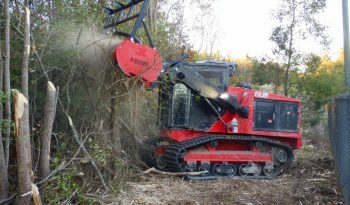 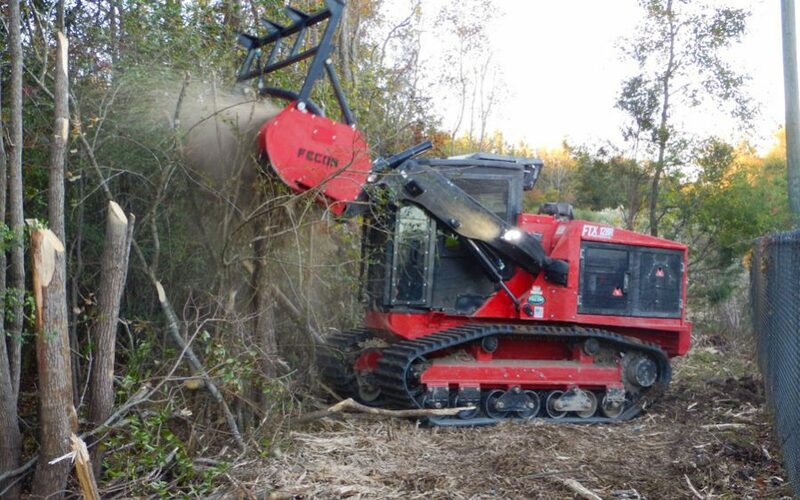 The FTX128R, rubber tracked mulching tractor is the latest development for the 128HP family of Fecon FTX Tracked Carriers. 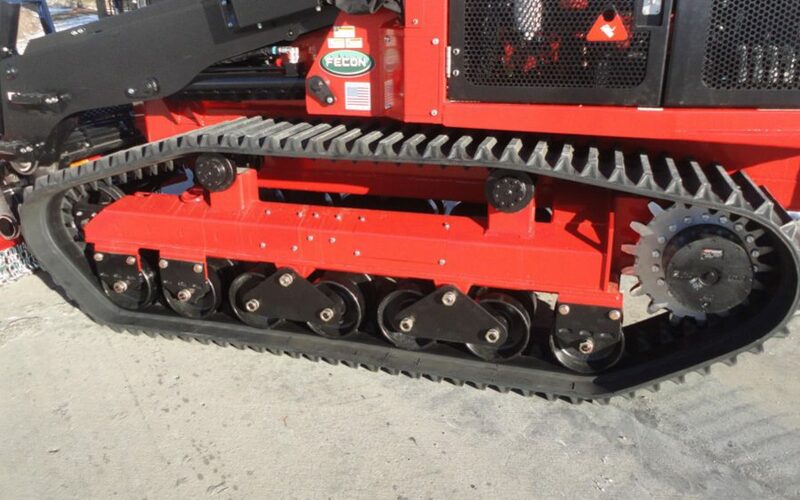 The new rubber undercarriage utilizes a heavy duty bogie roller system and metal imbedded rubber tracks. The FTX128R offers 23” ground clearance, powerful steering, excellent traction, and a low PSI of 4.5 for responsive handling in soft wet conditions.